There’s nothing worse than a snoozy work wardrobe to make Monday through Friday dressing totally depressing. It’s easy for blazers, sheath dresses, and pencil skirts to feel stale, especially if you lean on the same few outfit combos each week. While there’s nothing wrong with sticking to a uniform, injecting a few fresh pieces every now and again is a great way to reinvigorate your routine. With new fall arrivals hitting the floor, there’s no better time to scoop up a slew of fresh styles, and what better category to start with than pants? 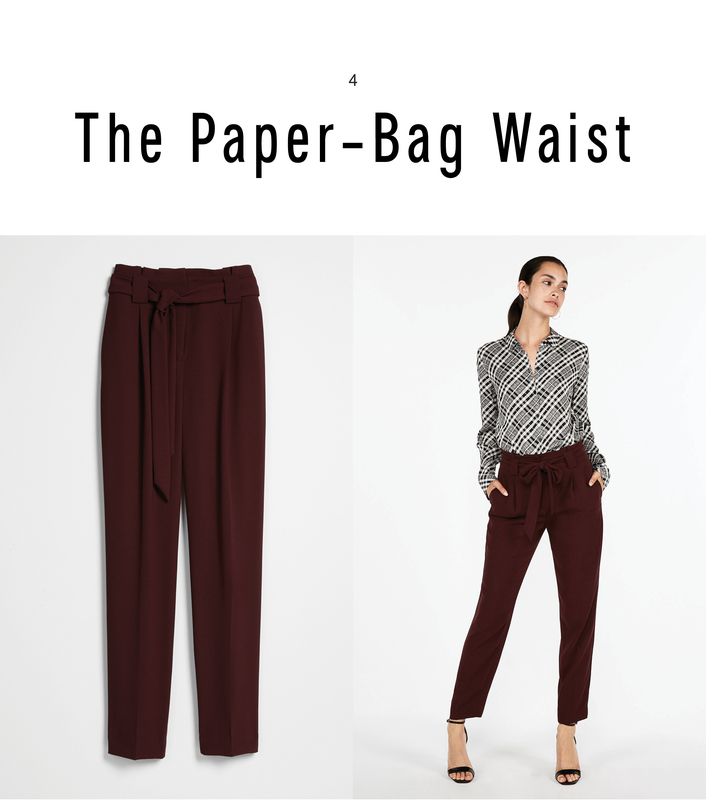 The base for many an outfit, fall’s take on trousers is super tailored and totally office-approved. 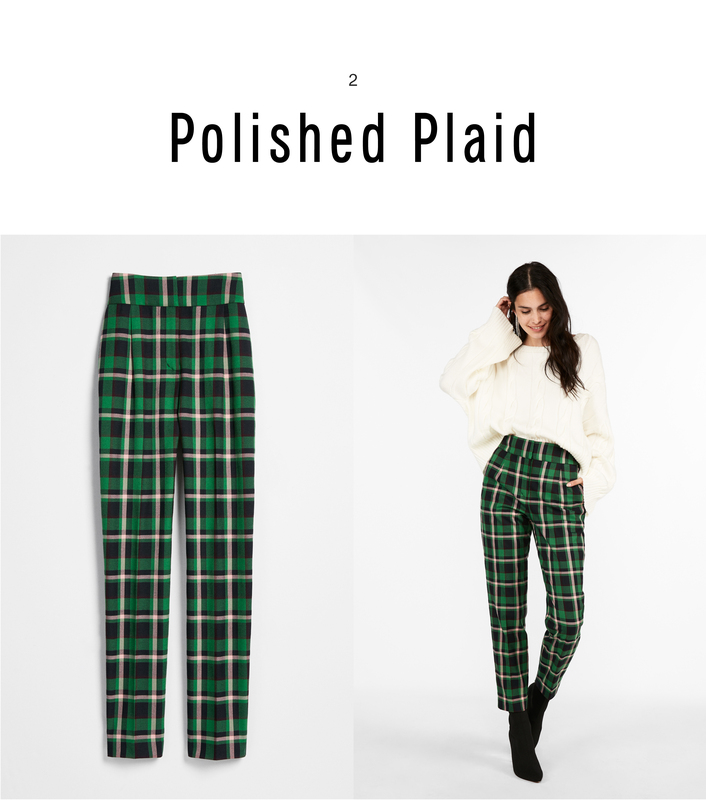 Think high-waist silhouettes, sleek ankle-length crops, and polished plaid. Whether you’re for simple colors, bold solids, or impactful prints, ahead, we’re spotlighting four new pant styles to take you from Monday meetings to mid-week brainstorms and Friday conference calls with ease. Your fall work wardrobe just got a lot more exciting. No pant is as versatile as a skinny silhouette and this black version is a total hero piece. In casual office environments, style yours with a button-down loosely worn over top and layer in a moto jacket for added texture. Zebra print flats are a too-cool finish. Punky plaid gets a tailored makeover for fall in this carrot-shaped silhouette. 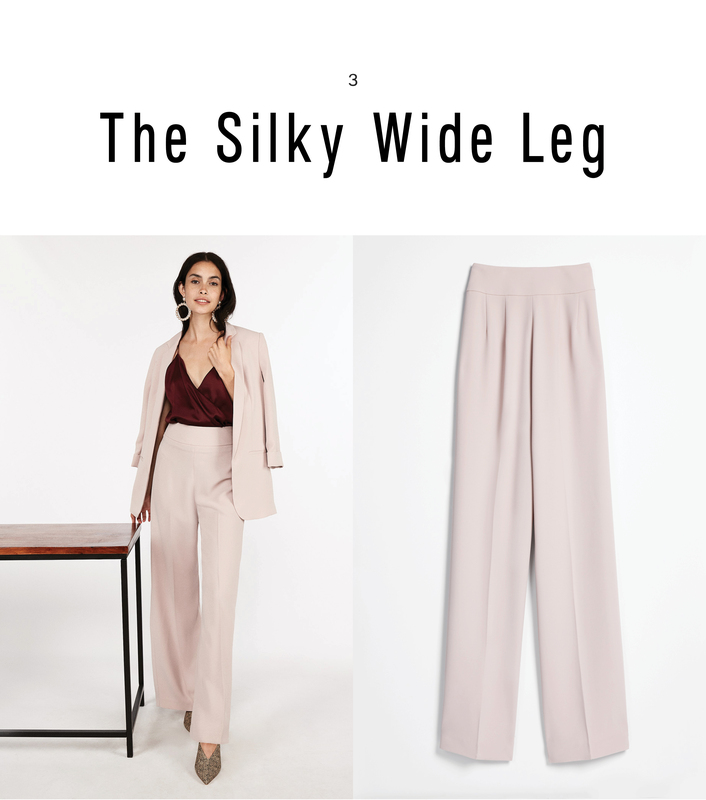 Sitting high on the waist with a slim fit through the leg, the effect is streamlined but with punch — a perfect way to inject color and print into your work wardrobe. A simple knit and black booties are all you need. Tailored and classic, wide-leg trousers are fail-safe at work. For a feminine twist, opt for a fluid silk pair — with the coordinating blazer, you’ll feel like a total boss. Take the look to the next level and style in leopard print heels, a jewel-tone camisole, and hoops. When you want to highlight your waist, a paper-bag silhouette is choice. For a sophisticated look with a ‘70s lean, reach for a plaid collared blouse and strappy black heels. Your new desk-to-dinner look any day of the week.